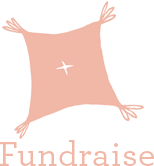 Put the FUN in FUNdraising, there is something easy for everyone! Partner with your local ice cream store to do a last day of school ice cream fundraiser in your town to fundraise for us! This is our signature SCOOPS CHALLENGE – help us get one in all 50 states of the US and beyond! Click on a link below to register or donate to one of the 2017 Scoops Challenges. We are thrilled to have Ford Model of Courage Program Sponsoring the cost of the banners for this year! We will send you an entire kit with simple, turn-key instructions to do this yourself! Please contact paula.cunningham@sbcglobal.net to request a kit! Our annual Cancer Beat truly puts the fun in fundraising! This night celebrates life, love, and laughter with cool music, hilarious comedy, and incredible food. To see just what our past Cancer Beat events were all about, check out these exciting sizzle reels and stay tuned for our event next year! There is no cure for Stage 4 Breast Cancer. More than 40,000 people die each year from Metastatic Breast Cancer (MBC) in the US alone-- our mother Judy Levin was one such casualty. Very little of the funding for breast cancer research goes to Metastatic Breast Cancer. So, we were determined to design a creative fundraising campaign to raise money. Judy was a beloved baker/cook even throughout her 6-year battle with MBC. Her kitchen was a communal table for family, friends and even strangers to embrace the tastes and love emanating from her dishes. After receiving multiple requests for Judy’s recipes over the decades, her daughters, Shari and Stacy, realized they could spread Judy’s culinary love -- all in the name of Metastatic Breast Cancer research. And so, in 2012, the Bake it Happen campaign was born. Visit bakeithappen.net for more information!